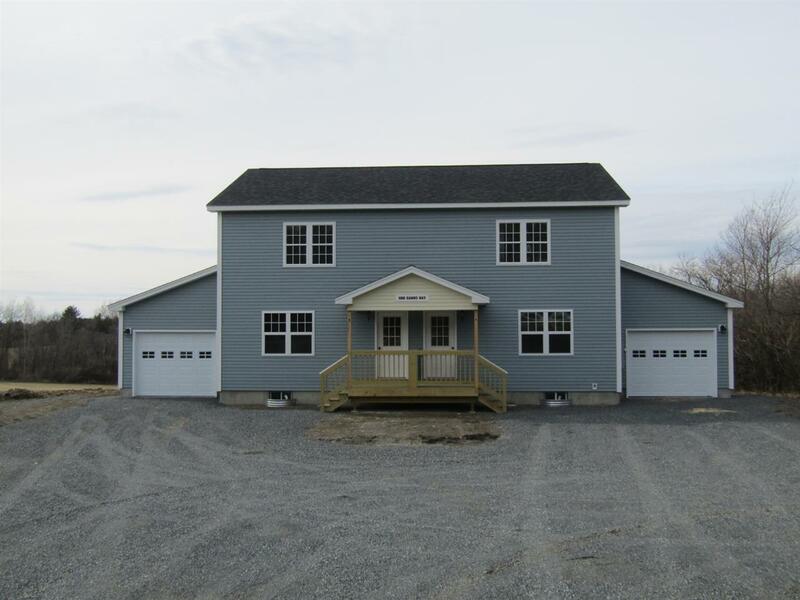 New construction on this duplex style townhouse on 2.97 acres. Still time to choose There is still time to pick some of your finishing on either of these units that are expected complete in Feb if 2019. The condo has an attached garage, with 3 bedrooms, and 2 baths. This townhouse offers the ability for one level living with a first floor bedroom, bath, laundry, and kitchen. Upstairs are two spacious bedrooms and another full bath. The baths are tile and LVP flooring on the living area. This property is located just 2 miles from I-89 exit 20 St. Albans. Want more than 1280 square feet? Finish off the basement later that has a full size egress window and add an additional 5-600 sf of living space. Townhouse/condo buildings like this one don&apos;t come up often with all this acreage and a private setting. Some interior photos are likeness only.